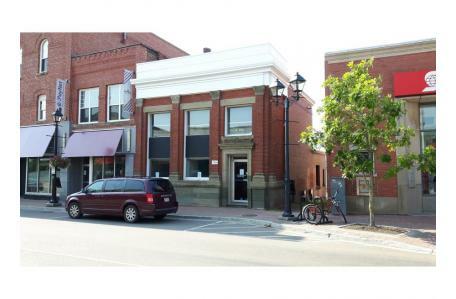 This space is inside a historic brick building in a high traffic area of downtown Summerside. The basement has rooms for storage including a vault. The main level has 3 offices, a boardroom, a reception area, a vault, and a bathroom. The upper level has two offices, a reception area, a bathroom, and a small kitchenette. This building was once the Bank of New Brunswick, thus the 2 walk-in vaults. The furnace was replaced in 2001 and the AC was replaced in 2002. There is appropriate space for a computer server. Neighbouring businesses include: Humble Barber, Scotia Bank, National Bank, Hickey & Hyndman, Downtown Convenience.